IT SEEMS BOTH LONG AGO and only yesterday. The terrible attack on the Parisian journal Charlie Hebdo took place in January, but it both followed and has been followed by many all-too-similar events: The violence around and against speech shows no signs of stopping. All the more reason, then, to parse the complexity of polemical words and images, of the forms of discourse that are the toughest, the most incisive and the most puerile, the funniest and the worstat the forefront of which lies Charlie Hebdo’s extreme political and cultural satire. 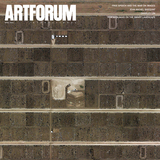 Because Charlie remains one of the knottiest and most misunderstood of outlets, Artforum asked renowned French art historian YVE-ALAIN BOIS to reflect on the publication’s unstinting critical eyeits relentless interrogation of any and all figures of authority, its singular advancement of comics as an artistic and literary genre, and its implacable challenge to the silencing and censure that ceaselessly threaten our freedom. 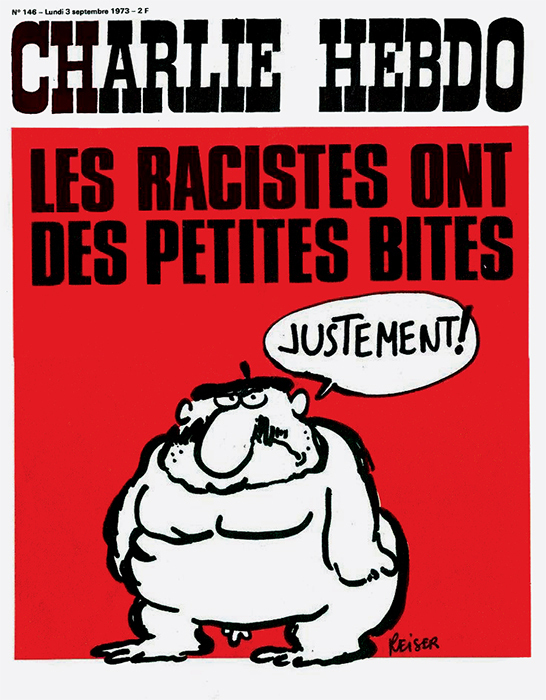 Cover of Charlie Hebdo, September 3, 1973. Jean-Marc Reiser.